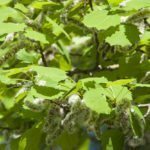 What should we do if we have baby Aspen trees growing in our backyard? Aren't they considered what they call, "Tree Suckers"? 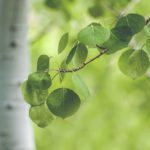 Would removing these Aspen trees, benefit our lawn and other plant life, as well as wild plant life? If so, what would be the best and/or easiest way? Removal of an Aspen tree and its seedlings is not easy task.